Along with ‘Mother’, the next three tracks ‘Miles and Miles of Rosary Beads’, ‘Indian Sweets’ and ‘The Glue’ all have a very similar feel about them. The vocals provided by former DARTZ! 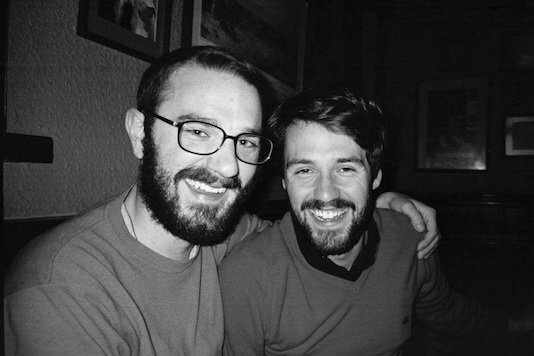 frontman William Anderson are assured, though at times lacking some clout in these opening tracks. At track five we suddenly venture off in a slightly different direction. ‘Lighthouse’ stands out thanks to a more prominent role taken on by John Goodwin’s drums, building a rhythm that allows the vocals to seize more responsibility and really flourish. This is partly due to the excellently judged harmonies and incredibly catchy guitar hook that sits in there gluing the whole thing together. The second half of the album begins with the track ‘Flowers’. Following its delicate opening it has a chant-along quality, something about it really sticks in the mind. I wouldn’t be surprised to see ‘Flowers’ become one of those songs dedicated groups of fans will sing at gigs long after the band has finished playing it. As we get towards the end of the record, ‘Two Currents Of Sea Drifts’ ups the tempo again. Out of the up-tempo tracks on the album this is the one that seems to work the best. Title track ‘You’re The Captain’ follows and is a solid track, another that definitely benefits from repeat listens, and being equipped with lyrics like “Bathtubs of the Ganges overspill into the Nile” it conjures up some interesting images. 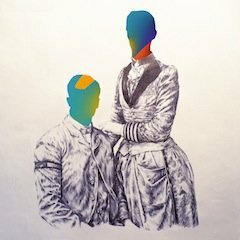 The final two tracks are titled ‘To The Beat Of A Marching Drum’ parts one and two, part one is slow and thoughtful, while part two sounds almost triumphant. The whole record is lyrically rich, and each track does a good job of trying to tell a story. I like this album, but it is crying out for something to lift it to another level. I think something interesting going on at a low frequency is probably all it lacks. 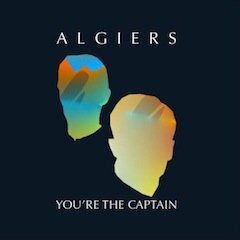 Having only signed for Xtra Mile a couple of months ago I’m sure there is a lot more to come from Algiers. The track ‘Lighthouse’ is definitely my highlight and I can see myself seeking it out to listen to over and over again. See for yourself why, below is a video released to youtube for ‘Lighthouse’ back in November.